Jammu and Kashmir Pradesh Congress Committee (JKPCC) chief, G A Mir Wednesday said that National Conference and Congress are contesting the elections separately as there is no friendly contest between the two parties. 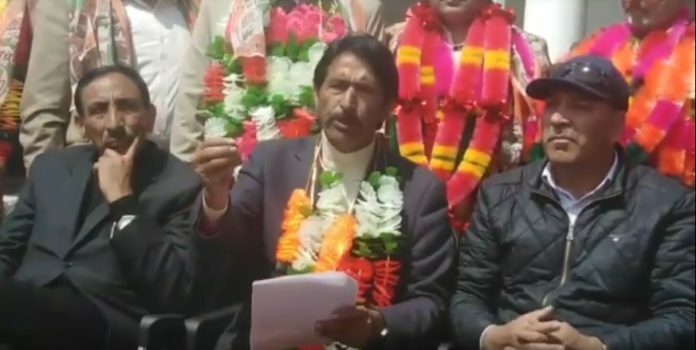 While addressing a press Conference today at party headquarters here in Srinagar, Mir told reporters that the parties are fighting elections on their own as one of the party has announced its candidates while the other (Congress) has also announced its candidates for some seats and will announce others in two days. “Mega scheme will benefit 20 percent of India’s total population and covering five crore households, which means almost 25 crore of population will benefit from the scheme,” he said. Earlier, several persons including academicians, political leaders joined Congress in presence of the JKPCC chief and other party leaders.